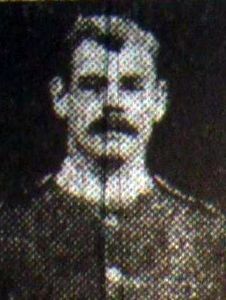 Charles was the son of Edward and Sarah Handley of 343, Green Lane, Walsall but resided with his brother, Thomas and his wife Sarah at 21, Tantarra Street, Walsall. Called up on reserve, he was drafted to France on Wednesday 12/08/1914 and killed during the first day of the Battle of Loos when his bn attacked German positions in front of Noyelles. United Kingdom Private 29720 Royal Scots 03/10/1918 Age: 24 XIII. E. 4. United Kingdom Corporal 5306 Queen's Own (Royal West Kent Regiment) 26/09/1915 Age: 26 XIII. A. 11. United Kingdom Private 17528 Gloucestershire Regiment 25/09/1915 Age: 19 IV. E. 3. United Kingdom Serjeant 15856 Grenadier Guards 11/10/1915 Age: 22 IX. D. 1. United Kingdom Private 2683 Highland Light Infantry 26/09/1915 Age: 28 XII. F. 11. United Kingdom Private 17463 Grenadier Guards 11/10/1915 Age: 26 IX. D. 13. United Kingdom Serjeant S/3982 Black Watch (Royal Highlanders) 29/04/1916 Age: 22 I. B. 5. United Kingdom Second Lieutenant Black Watch (Royal Highlanders) 02/09/1918 Age: 27 VII. F. 10. United Kingdom Private S/16879 Cameron Highlanders 23/10/1915 Age: 24 I. B. 20. United Kingdom Lance Corporal 20579 Royal Scots 15/09/1918 Age: 23 IV. A. 11. United Kingdom Lance Corporal 16848 Grenadier Guards 12/10/1915 Age: 20 IX. D. 8. United Kingdom Private 16740 Northamptonshire Regiment 25/09/1915 IV. E. 10. United Kingdom Private 2829 London Regiment (Prince of Wales' Own Civil Service Rifles) 09/11/1915 Age: 25 VII. D. 5. United Kingdom Corporal S/6563 Black Watch (Royal Highlanders) 29/04/1916 I. B. 6. United Kingdom Private 3333 North Staffordshire Regiment 13/10/1915 Sp. Mem. B. 5. United Kingdom Private 53739 Gloucestershire Regiment 11/09/1918 Age: 23 X. F. 4. Canadian Private 847526 Canadian Infantry (Quebec Regiment) 16/08/1917 XIII. E. 3. Canadian Private 204555 Canadian Infantry (Central Ontario Regiment) 15/08/1917 XIV. C. 16. United Kingdom Private 19014 Grenadier Guards 11/10/1915 IX. D. 6. United Kingdom Rifleman S/35161 Rifle Brigade 02/10/1918 Age: 20 XIV. E. 11. United Kingdom Private S/11217 Black Watch (Royal Highlanders) 29/04/1916 I. B. 12. United Kingdom Private 2933 The Loyal North Lancashire Regiment 25/09/1915 Age: 18 IV. E. 4. United Kingdom Private 2603 The Loyal North Lancashire Regiment 25/02/1916 Loos Com. Cem. Mem. 4. United Kingdom Private S/13827 Cameron Highlanders 27/04/1916 Age: 32 III. F. 10. United Kingdom Private L/9556 Royal Sussex Regiment 25/09/1915 Age: 23 V. C. 18. United Kingdom Private S/9964 Black Watch (Royal Highlanders) 29/04/1916 Age: 19 I. I. 13. United Kingdom Private 3938 North Staffordshire Regiment 13/10/1915 Age: 22 Sp. Mem. B. 9. United Kingdom Private 18545 Grenadier Guards 12/10/1915 IX. D. 19. United Kingdom Private S/12256 Black Watch (Royal Highlanders) 29/04/1916 Age: 23 I. B. 15. United Kingdom Private S/4396 Black Watch (Royal Highlanders) 25/09/1915 XII. E. 19. United Kingdom Gunner 11714 Royal Field Artillery 23/05/1915 I. E. 1. United Kingdom Serjeant L/8672 Royal Sussex Regiment 25/09/1915 Age: 22 VI. B. 12. Canadian Private 678106 Canadian Infantry (Central Ontario Regiment) 15/08/1917 XIV. D. 16. United Kingdom Private 8079 Royal Sussex Regiment 25/09/1915 IV. E. 2. United Kingdom Private 16250 Grenadier Guards 11/10/1915 Age: 21 IX. D. 11. United Kingdom Private 27005 Black Watch (Royal Highlanders) 02/09/1918 Age: 18 VII. F. 9. United Kingdom Gunner 86930 Royal Field Artillery 07/10/1915 Age: 25 XIII. B. 1. United Kingdom Lance Corporal 30077 Royal Irish Fusiliers 30/09/1918 Age: 45 X. E. 18. United Kingdom Corporal 13204 Gloucestershire Regiment 25/09/1915 XII. A. 19. United Kingdom Lance Corporal 1939 London Regiment (London Irish Rifles) 26/09/1915 VI. F. 8. United Kingdom Flight Sub-Lieutenant Royal Naval Air Service 05/02/1918 Age: 20 XIV. E. 15. United Kingdom Serjeant 3172 Northumberland Fusiliers 04/05/1918 Age: 28 XII. E. 14. United Kingdom Private 16953 Highland Light Infantry 26/09/1915 XII. F. 15. United Kingdom Private 19640 Grenadier Guards 12/10/1915 X. D. 3. United Kingdom Private 18126 Grenadier Guards 12/10/1915 Age: 22 IX. D. 14. United Kingdom Lance Corporal S/11185 Black Watch (Royal Highlanders) 29/04/1916 Age: 26 I. B. 7. United Kingdom Private 5101 Irish Guards 08/10/1915 Age: 19 II. F. 8. United Kingdom Private 18629 Highland Light Infantry 26/09/1915 XII. F. 17. United Kingdom Private S/9727 Black Watch (Royal Highlanders) 29/04/1916 I. B. 14. United Kingdom Serjeant S/9382 Black Watch (Royal Highlanders) 06/09/1918 V. F. 2. United Kingdom Private 3961 North Staffordshire Regiment 13/10/1915 Sp. Mem. B. 11. United Kingdom Private S/593 Royal Sussex Regiment 25/09/1915 VI. B. 3. United Kingdom Rifleman 2059 London Regiment (City of London Rifles) 25/09/1915 VI. F. 6. United Kingdom Private 19254 Northamptonshire Regiment 22/12/1915 VIII. A. 14. United Kingdom Private 50987 Royal Scots 15/09/1918 IV. A. 13. United Kingdom Private 22044 The Loyal North Lancashire Regiment 25/09/1915 IV. E. 6. United Kingdom Captain The Loyal North Lancashire Regiment 25/09/1915 Age: 27 Sp. Mem. A. 11. United Kingdom Private S/9352 Black Watch (Royal Highlanders) 29/04/1916 Age: 27 I. B. 16. United Kingdom Second Lieutenant Gloucestershire Regiment 25/09/1915 Age: 19 Sp. Mem. A. 7. United Kingdom Lieutenant Lincolnshire Regiment 30/09/1917 Age: 19 XV. F. 8. United Kingdom Private 4669 Royal Sussex Regiment 25/09/1915 IV. E. 13. United Kingdom Private 1044 Black Watch (Royal Highlanders) 25/09/1915 XII. A. 10. United Kingdom Private 53668 Gloucestershire Regiment 11/09/1918 X. F. 3. Canadian Lieutenant Canadian Infantry (Quebec Regiment) 15/08/1917 Age: 25 Xlll. E. 2. United Kingdom Private S/9693 Black Watch (Royal Highlanders) 18/01/1916 Age: 22 XV. D. 6. United Kingdom Captain Gloucestershire Regiment 25/09/1915 Sp. Mem. A. 2. United Kingdom Private 18417 Northamptonshire Regiment 28/12/1915 I. B. 19. United Kingdom Private 335138 Royal Scots 15/09/1918 Age: 31 IV. A. 15. United Kingdom Private G/5270 Royal Sussex Regiment 28/09/1915 XI. F. 19. United Kingdom Private 12006 Gloucestershire Regiment 25/09/1915 XII. E. 18. United Kingdom Private 18649 Grenadier Guards 12/10/1915 X. D. 1. United Kingdom Private 7633 Irish Guards 06/10/1915 Age: 23 II. F. 11. United Kingdom Private 3956 North Staffordshire Regiment 13/10/1915 Sp. Mem. B. 1. United Kingdom Private 6780 South Staffordshire Regiment 25/09/1915 IX. A. 9. United Kingdom Private 16190 The Loyal North Lancashire Regiment 25/09/1915 Age: 33 V. F. 10. United Kingdom Rifleman 1310 London Regiment (Post Office Rifles) 25/09/1915 Age: 23 VI. F. 3. United Kingdom Private 17333 Gloucestershire Regiment 25/09/1915 I. F. 10. United Kingdom Lance Corporal 2937 North Staffordshire Regiment 13/10/1915 Age: 24 Sp. Mem. B. 4. United Kingdom Private 6380 Royal Warwickshire Regiment 25/09/1915 IX. B. 1. United Kingdom Private 401 North Staffordshire Regiment 13/10/1915 Sp. Mem. B. 7. United Kingdom Private 51015 Royal Scots 15/09/1918 Age: 19 IV. A. 14. United Kingdom Private 20421 Gloucestershire Regiment 25/09/1915 Age: 23 XII. E. 20. United Kingdom Private 34294 Royal Scots 06/10/1918 Age: 42 XIV. F. 2. United Kingdom Private S/14174 Cameron Highlanders 29/04/1916 I. B. 18. United Kingdom Second Lieutenant Black Watch (Royal Highlanders) 17/03/1916 Age: 24 XV. D. 5. United Kingdom Private 17329 Grenadier Guards 12/10/1915 X. D. 2. United Kingdom Private 11911 Cameronians (Scottish Rifles) 25/09/1915 XIV. B. 3. United Kingdom Private 19285 Yorkshire Regiment 28/09/1915 Age: 20 XII. E. 17. United Kingdom Private 18230 South Wales Borderers 22/02/1916 Age: 28 XIII. B. 13. United Kingdom Serjeant 60 Highland Light Infantry 25/09/1915 Age: 42 Xll. F. 16. United Kingdom Private 25116 Black Watch (Royal Highlanders) 03/10/1918 XIV. E. 16. 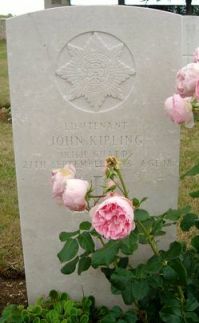 United Kingdom Corporal 892 London Regiment 21/09/1915 Age: 21 VI. F. 1. United Kingdom Lance Corporal 10239 Gordon Highlanders 25/09/1915 Age: 29 X. C. 19. United Kingdom Second Lieutenant South Wales Borderers 25/02/1916 Age: 21 Loos Com. Cem. Mem. 2. United Kingdom Private 18609 Highland Light Infantry 25/09/1915 XlI.F. 18. United Kingdom Lance Corporal S/40754 Black Watch (Royal Highlanders) 15/09/1918 V. F. 3. United Kingdom Private 3720 Argyll and Sutherland Highlanders 27/09/1915 Age: 23 VI. F. 4. United Kingdom Private 1111 London Regiment 25/09/1915 VI. F. 7. United Kingdom Private 3292 London Regiment 25/09/1915 Age: 18 VI. F. 9. United Kingdom Lieutenant Irish Guards 27/09/1915 Age: 18 VII. D. 2. United Kingdom Private 365122 London Regiment 04/10/1918 XIV. E. 19. United Kingdom Private 17386 Grenadier Guards 12/10/1915 Age: 20 IX. D. 12. United Kingdom Private G/4614 Royal Sussex Regiment 25/09/1915 IV. E. 9. United Kingdom Lieutenant 17950 Royal Scots Fusiliers 25/09/1915 Age: 28 VI. D. 13. United Kingdom Lieutenant Gloucestershire Regiment 25/09/1915 Sp. Mem. A. 5. United Kingdom Lance Corporal 45970 Northumberland Fusiliers 14/09/1918 Age: 30 V. F. 15. United Kingdom Private 12388 Grenadier Guards 11/10/1915 IX. D. 3. United Kingdom Private 11408 South Wales Borderers 25/03/1916 XIII. C. 1. United Kingdom Serjeant A/8253 Cameronians (Scottish Rifles) 25/09/1915 XIV. A. 17. United Kingdom Second Lieutenant The Loyal North Lancashire Regiment 25/09/1915 Age: 26 Sp. Mem. A. 9. United Kingdom Second Lieutenant South Wales Borderers 17/08/1918 Age: 20 XI. F. 20. United Kingdom Lance Corporal 10463 South Wales Borderers 27/03/1916 Loos Com. Cem. Mem. 3. United Kingdom Lance Corporal 6209 Irish Guards 08/10/1915 II. F. 14. United Kingdom Private SR/2231 Royal Sussex Regiment 25/09/1915 Age: 19 VI. D. 20. United Kingdom Lance Corporal C/3963 Royal Sussex Regiment 25/09/1915 V. F. 11. United Kingdom Private 17707 Royal Scots 15/09/1918 Age: 33 IV. A. 18. United Kingdom Private S/17082 Cameron Highlanders 27/04/1916 IV. F. 18. United Kingdom Company Serjeant Major 9748 Royal Welsh Fusiliers 25/09/1915 Age: 28 X. B. 20. United Kingdom Lance Corporal 1719 North Staffordshire Regiment 13/10/1915 Age: 22 Sp. Mem. B. 2. United Kingdom Second Lieutenant Royal Scots 06/10/1918 Age: 21 XIV. F. 1. United Kingdom Private 271547 Royal Scots 06/10/1918 XIV. F. 2. United Kingdom Private 53176 Royal Scots 06/10/1918 XIV. F. 2. United Kingdom Lance Corporal 41176 Royal Scots 15/09/1918 Age: 26 IV. A. 12. United Kingdom Private 242713 The Loyal North Lancashire Regiment 02/10/1918 V. F. 14. United Kingdom Private 4597 Gordon Highlanders 22/11/1915 I. B. 3. United Kingdom Private 1802 Royal Irish Regiment 06/06/1916 Age: 26 VII. D. 6. United Kingdom Private S/9287 Black Watch (Royal Highlanders) 29/04/1916 I. B. 8. United Kingdom Private 18159 Highland Light Infantry 25/09/1915 XII. F. 19. United Kingdom Private 4014 Royal Scots 11/05/1916 X. B. 2. United Kingdom Private 17959 Highland Light Infantry 25/09/1915 XII. F. 13. Canadian Private 633732 Canadian Infantry (Eastern Ontario Regiment) 18/08/1917 Age: 19 VII. D. 17. United Kingdom Private 18630 Grenadier Guards 11/10/1915 Age: 21 IX. D. 7. United Kingdom Private 18499 Norfolk Regiment 28/10/1915 I. E. 5. United Kingdom Private 200483 Royal Scots 15/09/1918 IV. A. 16. United Kingdom Private 53185 Royal Scots 15/09/1918 Age: 19 IV. A. 17. United Kingdom Serjeant 454 North Staffordshire Regiment 13/10/1915 Age: 38 Sp. Mem. B. 10. United Kingdom Lance Corporal 18491 Grenadier Guards 11/10/1915 Age: 20 IX. E. 1. United Kingdom Private G/63116 Middlesex Regiment 03/10/1918 XIV. E. 20. United Kingdom Private 15520 Grenadier Guards 11/10/1915 Age: 25 IX. D. 5. United Kingdom Private S/9060 Black Watch (Royal Highlanders) 29/04/1916 Age: 19 I. B. 11. United Kingdom Private 12987 Cameron Highlanders 26/09/1915 Age: 31 XII.F. 14. United Kingdom Private 1415 North Staffordshire Regiment 13/10/1915 Age: 34 VII. B. 2. United Kingdom Private 1267 Royal Fusiliers 25/12/1915 Age: 25 XIV. B. 4. United Kingdom Private L/8182 Royal Sussex Regiment 25/09/1915 Age: 27 IV. E. 7. United Kingdom Private 9988 Oxford and Bucks Light Infantry 06/06/1915 Age: 21 XIV. B. 19. United Kingdom Private 53193 Royal Scots 06/10/1918 Age: 19 XIV. F. 2. United Kingdom Corporal 16875 Highland Light Infantry 25/09/1915 Age: 23 II. B. 10. United Kingdom Private 5593 Irish Guards 09/10/1915 Age: 34 VII. A. 2. United Kingdom Private 3398 The Loyal North Lancashire Regiment 25/09/1915 VI. D. 11. United Kingdom Private 1763 Irish Guards 08/10/1915 II. F. 7. United Kingdom Private S/6626 Black Watch (Royal Highlanders) 29/04/1916 I. B. 10. United Kingdom Private 3/10126 Northamptonshire Regiment 24/11/1915 Age: 18 I. 13. 1. United Kingdom Private 26539 Welsh Regiment 24/02/1916 Loos Com. Cem. Mem. 6. United Kingdom Lance Corporal 25302 South Wales Borderers 17/08/1918 Age: 28 X. F. 7. United Kingdom Private G/4269 The Queen's (Royal West Surrey Regiment) 25/09/1915 XV. A. 13. United Kingdom Lieutenant S/9052 Black Watch (Royal Highlanders) 29/04/1916 I. B. 17. United Kingdom Private 6602 Middlesex Regiment 18/10/1915 Age: 39 I. B. 2. United Kingdom Private 41620 Manchester Regiment 08/06/1918 Age: 22 IV. A. 4. United Kingdom Private SR/2123 Royal Sussex Regiment 25/09/1915 IV. E. 8. United Kingdom Private 302001 Royal Scots 06/10/1918 XIV. F. 2. United Kingdom Private 49475 Royal Scots 06/10/1918 Age: 18 XIV. F. 2. United Kingdom Lieutenant Gloucestershire Regiment 25/09/1915 Age: 20 Sp. Mem. A. 6. United Kingdom Private 5887 Middlesex Regiment 08/09/1915 Age: 35 I. E. 2. United Kingdom Private 20678 Grenadier Guards 11/10/1915 Age: 21 IX. D. 2. United Kingdom Captain Gloucestershire Regiment 25/09/1915 Sp. Mem. A. 3. United Kingdom Private 52090 Somerset Light Infantry 12/09/1918 VII. E. 20. United Kingdom Lance Corporal 316321 Cameronians (Scottish Rifles) 02/09/1918 Age: 18 II. B. 11. United Kingdom Private 17790 Northamptonshire Regiment 25/09/1915 IV. B. 11. United Kingdom Private 18509 Grenadier Guards 11/10/1915 Age: 18 IX. D. 4. United Kingdom Private 25192 Black Watch (Royal Highlanders) 03/10/1918 XIV. E. 18. United Kingdom Private 10950 Grenadier Guards 11/10/1915 IX. D. 10. United Kingdom Private SR/927 Royal Sussex Regiment 25/09/1915 IV. E. 5. United Kingdom Rifleman S/27264 Rifle Brigade 02/10/1918 XIV. E. 12. United Kingdom Rifleman 2935 London Regiment (City of London Rifles) 25/09/1915 VI. F. 5. United Kingdom Private 241224 Sherwood Foresters (Notts and Derby Regiment) 05/11/1917 Age: 26 XIV. F. 10. United Kingdom Private 49999 Royal Scots 06/10/1918 Age: 19 XIV. F. 2. United Kingdom Private 40595 Leicestershire Regiment 08/05/1917 Age: 21 VIII. F. 1. United Kingdom Private 10716 Royal Berkshire Regiment 13/10/1915 XV. F. 6. United Kingdom Private 14822 South Wales Borderers 25/02/1916 Age: 24 XIII. C. 4. United Kingdom Lance Corporal R/5327 King's Royal Rifle Corps 25/09/1915 Age: 33 VI. D. 14. United Kingdom Private 13767 Grenadier Guards 12/10/1915 IIX. D. 20. United Kingdom Private SR/1876 Royal Sussex Regiment 25/09/1915 IV. E. 12. United Kingdom Private 3/8101 Cameron Highlanders 13/10/1915 Age: 40 XV. C. 9. United Kingdom Lance Corporal 3219 North Staffordshire Regiment 13/10/1915 Age: 21 Sp. Mem. B. 7. 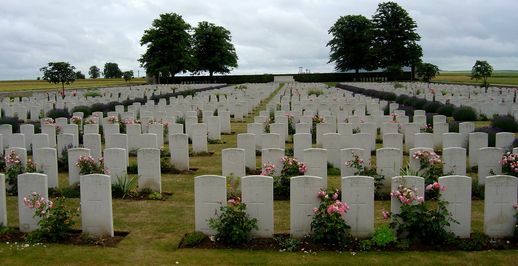 United Kingdom Private 16267 Grenadier Guards 27/09/1915 Age: 20 IX. B. 3. United Kingdom Private 87688 Northumberland Fusiliers 14/09/1918 Age: 28 V. F. 13. United Kingdom Private 12933 Grenadier Guards 11/10/1915 IX. D. 9. United Kingdom Private S/4753 Black Watch (Royal Highlanders) 29/04/1916 I. B. 9. United Kingdom Lieutenant Royal Engineers 05/10/1918 Age: 23 X. F. 8. United Kingdom Private 23216 King's Own Scottish Borderers 17/09/1918 XII. D. 3. United Kingdom Rifleman R/10638 King's Royal Rifle Corps 25/09/1915 VI. C. 18. United Kingdom Captain Gloucestershire Regiment 25/09/1915 Age: 23 Sp. Mem. A. 1. United Kingdom Second Lieutenant East Yorkshire Regiment 26/09/1915 Age: 21 XIII. B. 19. United Kingdom Private 330365 Royal Scots 15/09/1918 IV. A. 19. United Kingdom Private S/17713 Cameron Highlanders 28/09/1915 Age: 17 XVI. E. 4. United Kingdom Private 2966 The King's (Liverpool Regiment) 25/09/1916 V. A. 12. United Kingdom Private 27303 Black Watch (Royal Highlanders) 15/09/1918 Age: 18 V. F. 4. Canadian Lance Corporal 466788 Canadian Infantry (Quebec Regiment) 15/08/1917 Age: 31 XIV. E. 2. United Kingdom Private 55022 Cameronians (Scottish Rifles) 02/09/1918 VII. F. 15. United Kingdom Private 23129 Gloucestershire Regiment 25/09/1915 Age: 21 XII. F. 2. United Kingdom Second Lieutenant The Loyal North Lancashire Regiment 25/09/1915 Age: 24 Sp. Mem. A. 12. United Kingdom Private 49381 Royal Scots 06/10/1918 Age: 18 XIV. F. 2. United Kingdom Serjeant 8221 Worcestershire Regiment 26/09/1915 Age: 26 XV. F. 18. United Kingdom Second Lieutenant The King's (Liverpool Regiment) 25/09/1915 Age: 25 I. E. 14. United Kingdom Private 37255 Welsh Regiment 24/02/1916 Age: 24 Loos Com. Cem. Mem. 5. 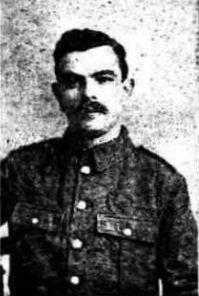 United Kingdom Lance Corporal 2774 North Staffordshire Regiment 13/10/1915 Age: 28 Sp. Mem. B. 3. United Kingdom Private 3572 North Staffordshire Regiment 13/10/1915 Sp. Mem. B. 8. United Kingdom Lieutenant The Loyal North Lancashire Regiment 25/09/1915 Age: 25 Sp. Mem. A. 10. United Kingdom Lieutenant Gloucestershire Regiment 25/09/1915 Age: 38 Sp. Mem. A. 4. United Kingdom Private 5464 Irish Guards 06/10/1915 II. F. 9. United Kingdom Rifleman 2538 London Regiment (City of London Rifles) 25/09/1915 Age: 22 VI. F. 2. United Kingdom Private 471 Royal Fusiliers 17/02/1916 Age: 20 III. F. 8. United Kingdom Corporal G/1120 Royal Sussex Regiment 25/09/1915 Age: 27 IV. E. 14. United Kingdom Private 18787 Highland Light Infantry 26/09/1915 XII. F. 12. United Kingdom Private 26519 Seaforth Highlanders 14/10/1918 Age: 21 XIV. E. 17. United Kingdom Captain The Loyal North Lancashire Regiment 25/09/1915 Age: 38 Sp. Mem. A. 8. United Kingdom Private 11806 King's Own Scottish Borderers 17/09/1918 XII. D. 2. United Kingdom Private 27256 Black Watch (Royal Highlanders) 16/09/1918 Age: 38 V. F. 1.